You’ve worked hard to build a successful business and protect its reputation. Wayne Insurance Group understands the needs of owners of small and medium-sized businesses, and we offer several programs that will provide the right coverage to protect your investment. Consult your local Wayne Insurance Group agent to find out how our commercial offerings can best be customized to meet your needs. Protect your small and medium-sized business with Wayne Insurance Group’s commercial property and liability coverage. 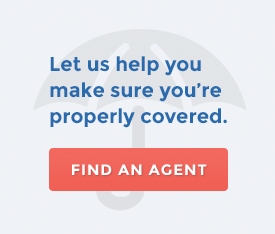 A broad array of coverage options is available, depending on your needs. Ideal for small to medium-sized trade contractors in a variety of specialties, the Artisan Contractor Program offers property and liability coverage specifically designed to meet the needs of your trade. Carpenters, cleaners, garage door installers, masons, painters, plumbers, siding installers – and much more – can find protection for their businesses through our Artisan Contractor Program. Designed for small to medium-sized businesses, the Businessowners Program offers the right property and liability protection at an affordable cost. This program is ideal for offices, small restaurants, retail stores, service businesses and wholesale operations. Whether you need coverage for business vehicles or farm trucks, Wayne Insurance Group’s Commercial Auto Program can meet your needs. Business owners, farm owners and artisan contractors will each find our program well-suited to their requirements. Safeguard your investment in your rental properties with Wayne Insurance Group’s Rental Dwelling programs. We offer both packaged and à la carte policy options to provide the coverage you need, whether you own one rental property or many. Wayne Mutual's Umbrella Programs provide extended liability protection above and beyond the liability limits of your existing business and auto policies. We offer up to $5 million in additional protection against bodily injury, property losses, personal injury or advertising injury.